As part of the CCR campaign, Protecting refugees = Stronger communities, the CCR invites members and others to take action so that Canada offers protection and a safe home to more refugees. Resettle 20,000 government-assisted refugees annually. 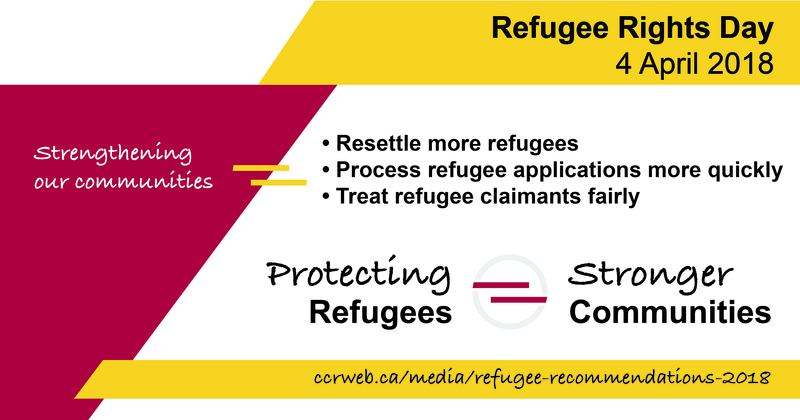 Ensure applications of privately sponsored refugees are processed within 12 months. Reform the refugee determination system so that all claimants have access to a fair hearing before an expert independent tribunal (the Immigration and Refugee Board). 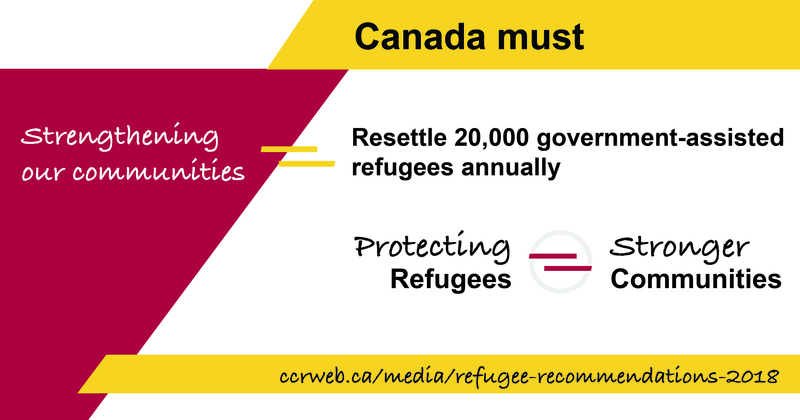 Canada can do more for refugees. When we welcome refugees, we all benefit because refugees work hard and contribute their talents and energies. CCR members and other allies are invited to join in a 2018 CCR lobby day focused on these three campaign demands. The lobby day will involve visiting MPs in their constituencies, during the period around April 4th (Refugee Rights Day).